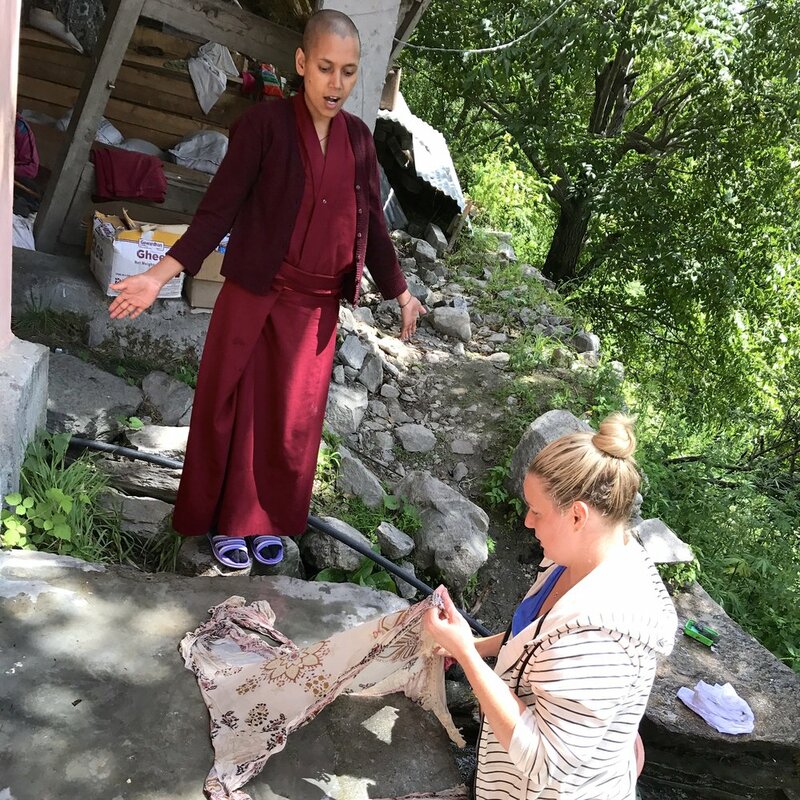 Recently my husband, Darrick, and I went to India to visit Buddhist Nuns high in the Himalayan Mountains. Darrick helped start a school there five years ago, and it was time to check in with them and bring supplies. But mostly it was time for me to experience this place and the people who hold a part of my husband’s heart. These kind and gentle women lead hard and simple lives. All meals are made from scratch, clothes are washed by hand, and gifts are crafted with time and intention. Their days are spent filled with domestic chores, studying, and spiritual practice. I grew up with extremely spiritual parents, who taught us to meditate from an early age. My father was a meditation instructor, so from the time we could sit up straight, we learned techniques for quieting our minds, slowing our paces, and calming ourselves. 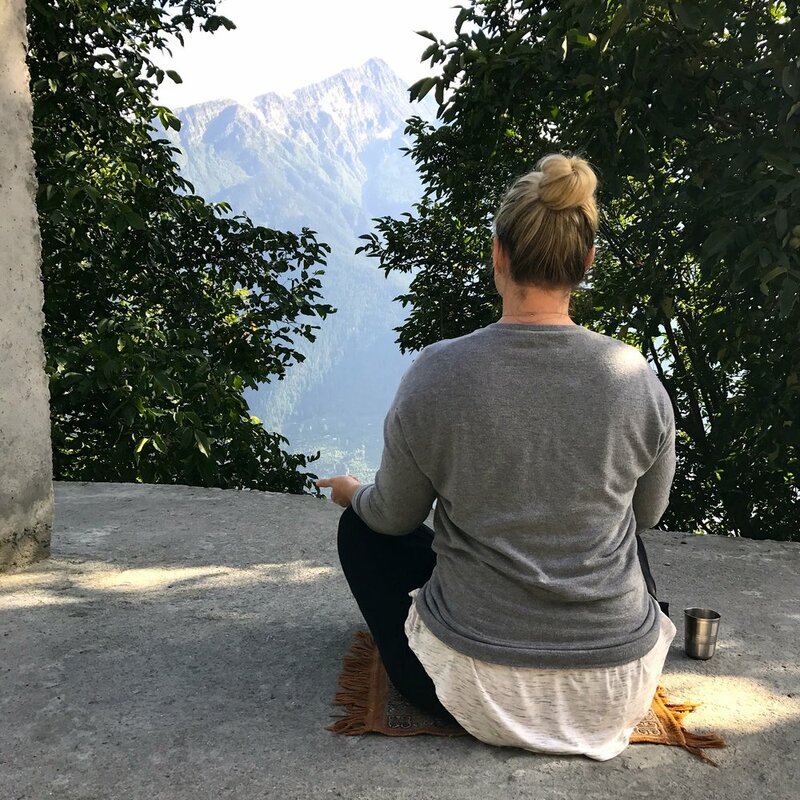 I thought this trip would be a great way for me to reconnect with my meditation practice. Truthfully, I thought it would be easy. I woke early the very first morning, sat in bed criss-cross-apple sauce-style, and tried to shake off the grumpy sleepiness that lingered in my head. And then I fell back to sleep. I tried this again for a couple more mornings, but when I met with the same result, I decided to try in the afternoon. I sat outside staring at a blue sky lined with mountains and decorated with prayer flags. This spot seemed to be intended exactly for meditation. My attempts continued this way for the entire visit. I just couldn't sit and meditate. Just take deep breaths and when you are cooking be cooking. Breathe, and when you are washing be washing. Breathe, and when you are eating, just eat. Breathe, and when you are sitting, just sit. And so I tried that approach for the rest of our visit. I wasn't able to meditate, but I was able to stop beating myself up for not meditating. Since coming home, I have revisited some meditations techniques my dad taught me that help quiet the mind. I started by staring into the flame of a candle; anytime my mind wandered, I brought my attention back to the flame. I also tried passing beads through my hand and saying a positive phrase each time a bead passed through my thumb and index finger. 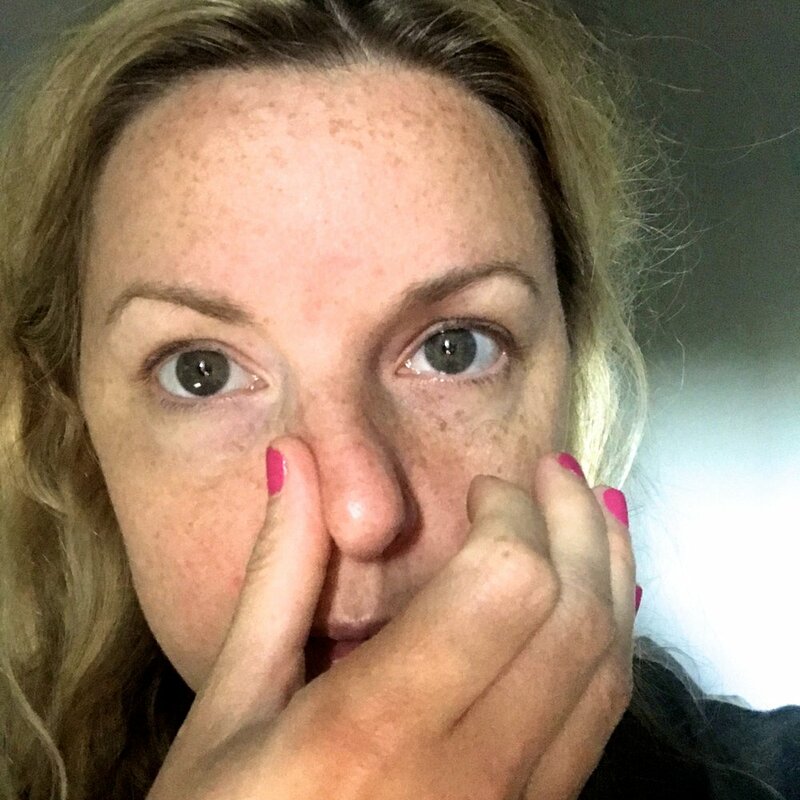 And through all this, I've realized that what works best for me—the technique that calms me right down—is breathing in through one side of my nose and out through the other. Now more than ever I am aware that meditation is referred to as a spiritual practice. And so I am just gonna practice more and hope that the spiritually follows!